If you have recently moved into a property and are eagerly waiting to turn the house into your dream property, why not hire help from professional home builders? No matter how big or small you intend on the home improvement project being, it’s vital that you take the time to seek out an expert in the construction industry or a dependable handyman for the job. Whether you want to focus on carpeting, ceilings, doorways, exterior remodelling or historic restoration, it’s wise to search for the best qualities if you want to get the most out of every dollar. 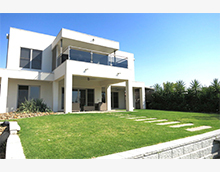 To construct a quality house, a reliable and experienced team of craftsmen should be called upon. Use the Internet to find at least five companies in your local area specialising in building projects, and ask them specific questions to narrow down your options. Ask them about their cost estimates, if he or she will be present at the job site on a regular basis, if any major problems occurred, if the majority of jobs are finished on time, etc. The references are one of the most important things you will gather during the process of finding professional home builders, because these references give you an honest insight into the reliability of the builder. Aim to get at least 3-4 references from each company and if possible, visit the houses personally, so that you can see what jobs were completed and what the finished result looks like. A good way of testing a builder’s ability to listen intently is by making a few phone calls before the first meet. If explanations are not logical, steer clear and look for help elsewhere. All builders who are experienced enough to conduct home renovation and improvement projects should be a member of the National Association of Home Builders (NAHB). Representing the home building industry, this association is made up of worldwide organizations – nine to be exact. If the builder is a member, you can feel confident that he or she is a recommended choice. Not every builder will have these credentials, so ask how many years he or she has been in the field before you sign any contracts.